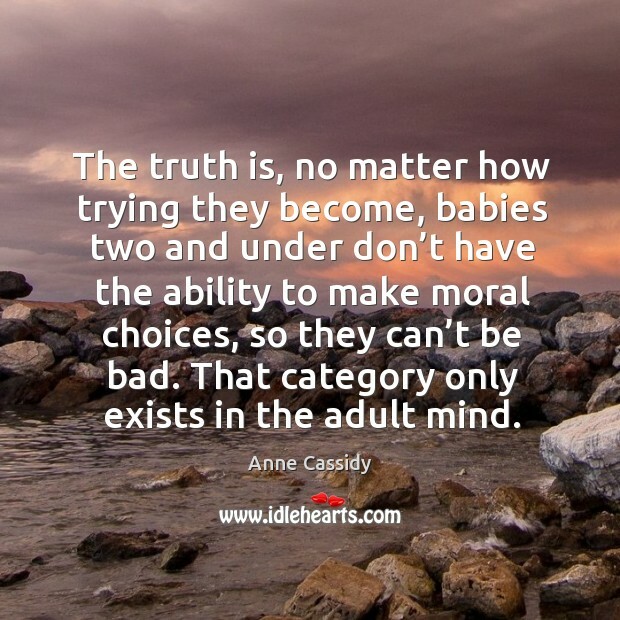 Enjoy the best inspirational, motivational, positive, funny and famous quotes by Anne Cassidy. Use words and picture quotations to push forward and inspire you keep going in life! Although my parents have never been the kind to hint around about grandchildren, I can think of no better tribute to them than giving them some.... I can't help thinking that the cycle is not complete until I can introduce them to a child of their child. 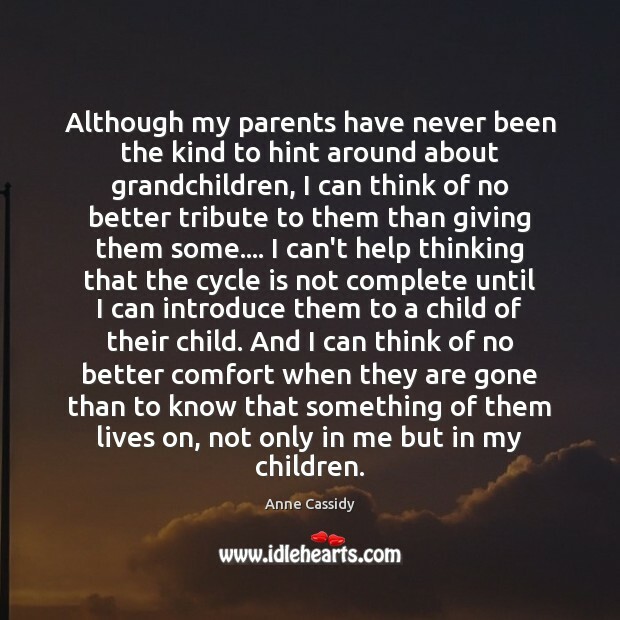 And I can think of no better comfort when they are gone than to know that something of them lives on, not only in me but in my children. 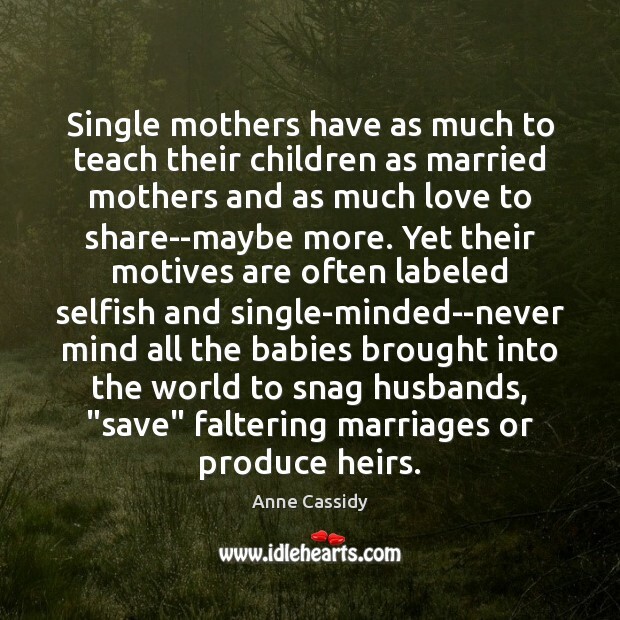 Single mothers have as much to teach their children as married mothers and as much love to share--maybe more. 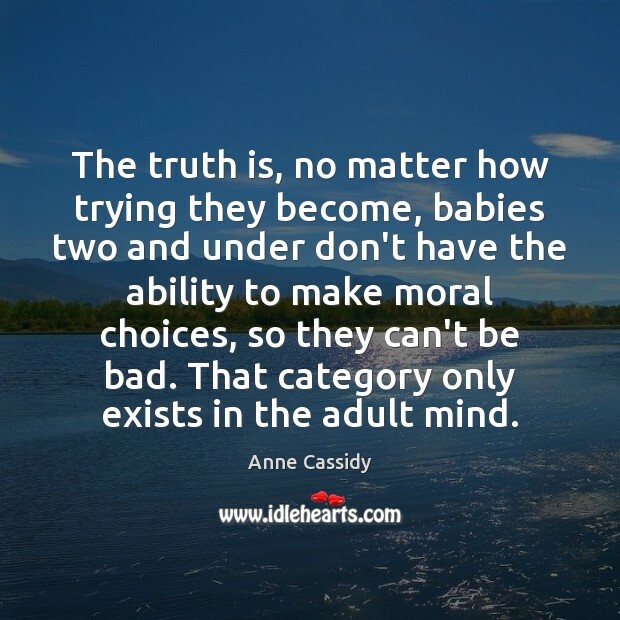 Yet their motives are often labeled selfish and single-minded--never mind all the babies brought into the world to snag husbands, "save" faltering marriages or produce heirs. 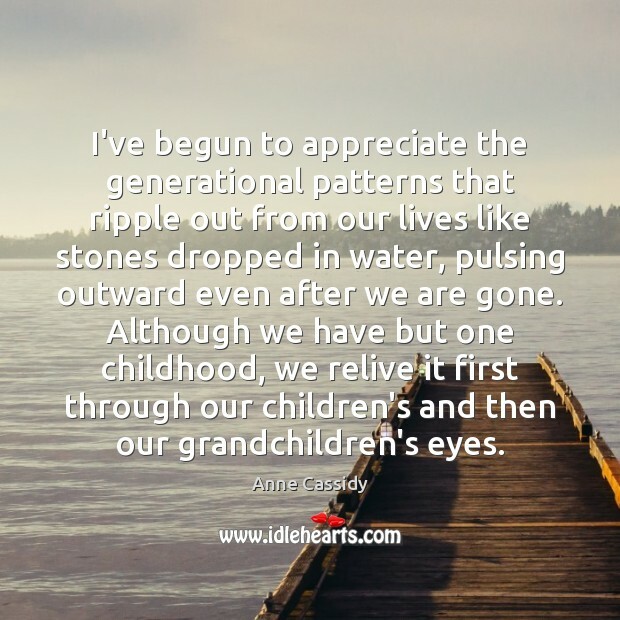 I've begun to appreciate the generational patterns that ripple out from our lives like stones dropped in water, pulsing outward even after we are gone. 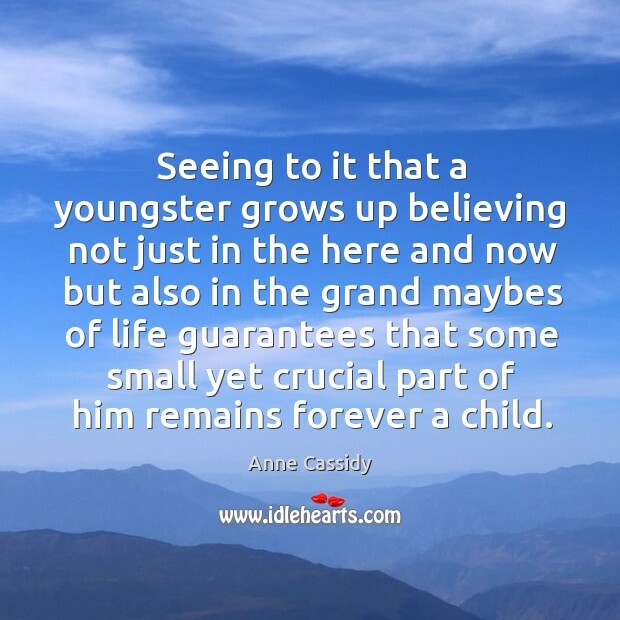 Although we have but one childhood, we relive it first through our children's and then our grandchildren's eyes.